First, the size. You must try to not get a size too large or too small, you will look unnatural. You may need to ask a friend to help you to measure the size, if you cannot measure yourself. Second, the colour. How to choose a colour? You do not only consider the colour, but would you consider your eyes, hair, skin tone make-up and nails. Try to pick out the dress to match these factors. For example, why not choose blue or green dress clothes, if you have blue eyes. hird, the fabrics. Dresses such as satin, chiffon, organza, tulle, silk, satin elastic and other materials. 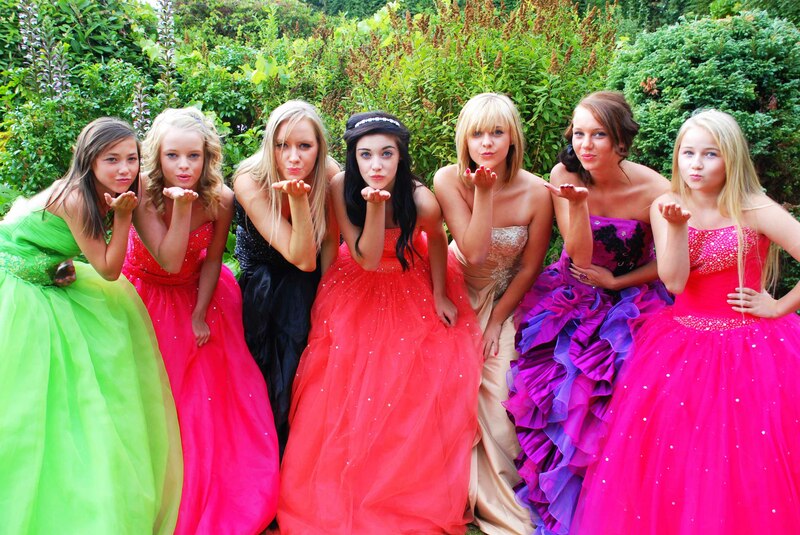 If you wear summer prom dresses, of course, tulle or organza gown dress is the best choice for hot summer days. Fourth, long or short dress you? Have a long prom dress short prom dress, dress length. Besides there is another high low dress choice. Whether you choose a short dress or skirt, dress or high to low, be sure to do with your dress and your personality to match. These are just a few pointers to help you choose your ideal Prom Gown, but, I would recommend trying on a number of different styles and colours before making up your mind and take an honest friend/family member with you to help you decide. Remember girls “A Prom is a once in a lifetime opportunity the memories will last forever”.